Walter Schloss was one of Buffett’s Superinvestors of Graham-and-Doddsville. He had an incredible track record of returns over his investing career, achieving a 21.3% CAGR over the period of 28 and a quarter years from 1956 to Q1 1984. And, he did it while keeping his own expenses to a minimum. One of my favorite articles on Schloss that describes his investing strategy was a 1973 Forbes article which illustrated how he consistently identified undervalued companies. One of his best picks was Boston & Providence Railroad. Schloss started buying B&P in the early 60’s for $96 per share, and bought it all the way up to $240. Penn Central wanted B&P’s real estate, but it could only get it if the shareholders were paid off. Eventually, a portion of B&P’s real estate was sold for $110 a share to the Penn Central Railroad, another portion of property was sold for $277 per share and there was still some Rhode Island property to be sold off. Schloss and his partners owned over 1,800 shares of B&P at that time. Their check was for $500,000. Walter Schloss, 57, is kind of a junk collector among stock market players. He is not much interested in earnings growth or in management or in other things that concern most analysts. He’s only interested in cheap stocks. 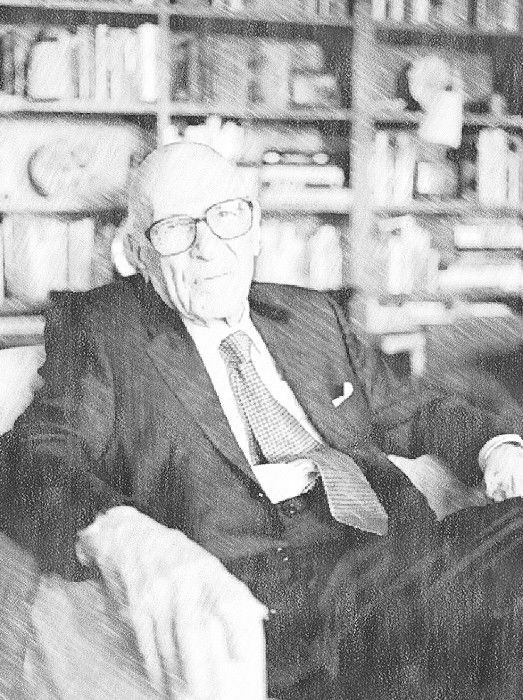 Now, as any reader of Benjamin Graham knows—and Walter Schloss is both a former student and ex-employee of Graham—a cheap stock is not necessarily low priced. That is, a $5 stock may not be cheap. And a $50 stock need not be dear. To these people, cheap means cheap in relation to a company’s assets or its value as a going business. Schloss went into money management on his own after Ben Graham retired in 1955. In his early days in business, Schloss used to look for what he calls “working capital stocks.” That is, situations where the market price per share was less than working capital per share—after deducting all debt and preferred stock. You got all of the physical plant and equipment for nothing. You couldn’t get cheaper stocks than this. “Back in the 1930s and 1940s there were lots of stocks, like Easy Washing Machine and Diamond T Motor, that used to sell below working capital value,” he explains. “You used to be able to tell when the market was too high by the fact that the working capital stocks disappeared. “But for the last 15 years or so there haven’t been any working capital stocks. On the other hand, when stocks of fairly good companies sell at one-third of book value, you can have some really interesting situations.” Book value? we asked. Aren’t earnings what count? “I really have nothing against earnings,” he retorted, “except that in the first place earnings have a way of changing. Second, your earnings projections may be right, but people’s idea of the multiple has changed. So I find it more comfortable and satisfying to look at book value. “But there are two things about book values. I think they are understated on today’s figures. Republic Steel, for example, has a book value of $65 a share. I don’t think you could replace it at $130 a share. No one is going into the steel business in the U.S. today except the Japanese with a scrap plant. Or take cement. A new company can’t go into the business unless somebody comes up with a revolutionary new process. “At such a time these companies and industries get into disrepute and nobody wants them, partly because they need a lot of capital investment and partly because they don’t make much money. Since the market is aimed for earnings, who wants a company that doesn’t earn much? “So,” Schloss went on, “if you buy companies that are depressed because people don’t like them for various reasons, and things turn a little in your favor, you get a good deal of leverage. “Look at Marquette Cement. It used to sell in the 50s; it has a book value of $28 a share, this year it sold at 6, about a fourth of book value. Everyone says cement is going to be in big demand for construction. The industry isn’t building any more plants because it is uneconomic. “If Marquette ever develops some decent earning power, which it hasn’t in the last few years, I could see it earning $1.50 a share and in decent markets selling at $15 a share. Also, the Europeans, with their 20% devaluation of the dollar, might come in and buy control. “Or take Keystone Consolidated, a steel company that used to have fairly decent earnings. It has a book value of $49 a share and was recommended by some fellows last year at $25. Now it’s selling at around $14. The company is having a terrible time because it has to buy scrap for its furnaces on the open market, and the Japanese have pushed the scrap market way up. “So here is another company selling at less than one-third book. It stopped paying a dividend for a year. Some one could come in with a tender offer. Maybe going from 24 to 14 doesn’t prove anything, because Levitz went down too. But Levitz didn’t have the book value these companies have. All it had was earnings projections. “Not only do you get my companies at a discount, but most of them pay you while you wait for appreciation. Schloss’ greatest investment coup came in the death throes of the Boston & Providence Railroad—”a company in bankruptcy longer than any company in the history of railroads,” says Schloss with a hint of pride. He originally bought its guaranteed stock for 96 a share and kept on buying up to 240. “The old New Haven Railroad had guaranteed the original lease of 85 a share. But the New Haven went bankrupt in 1933 or so. It came out of bankruptcy in something like 1946 and went back in the early 1960s. Then the New Haven merged into Penn Central, and I thought, ‘Great, maybe everything will work out.’ Then the Penn Central went bankrupt, and it looked like curtains. “But the Penn Central wanted the B&P’s real estate, only it couldn’t get it unless the stockholders were paid off. So they were, at $110 a share. Last year the Massachusetts property was sold off, paying the stockholders an other $277 a share. It still owns some Rhode Island property. I don’t know how much more we will get for that.” Schloss and his partners owned over 1,800 shares of the Boston & Providence. Their check was for $500,000. Is today’s market reasonable? “It would be fairer to say I have no opinion about the market, but I think there are some interesting stocks there. The thing about buying depressed stocks is that you really have three strings to your bow: 1) earnings will improve and the stocks will go up; 2) someone will come in and buy control of the company; or 3) the company will start buying its own stock and ask for tenders. “Take Lowenstein. This year it sold at $16 a share, paid a 90-cent dividend, and you got 5%% on your money. It has a book value of $43. Or look at National Detroit Corp., which owns the National Bank of Detroit. It has a book value close to $60 a share and sold at $41 this year. It’s a good company, maybe better than some of the ones I have. Walter Schloss is not a big-scale player, just a consistent player; he manages only about $4 million. But he claims to have averaged 17% a year on his money for 17 years. On $4 million, 17% comes to nearly $700,000 a year before taxes. With that kind of return, who needs an other Xerox?